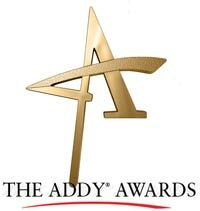 Congratulations to all the 2011 SF Bay ADDY Award winners, and to the Ad Person of the Year, Paul Venables. View the complete list of winners by category and by organization. The club also wishes to thank the MC, John Raj, the presenters, all the student volunteers, and everyone who made it a very special evening. Photography by Orange Photography as noted; Otherwise © Bryan Kramer, Purematter. Bently Reserve at Le Meridian Hotel • 301 Battery Street • San Francisco [map]. 8:00 PM: Award Show begins! Champagne Reception following the show. 9:00 PM: Thank You Acknowledgements, and Good Evening. Our Master of Ceremonies: Jon Raj. Closest parking: One Embarcadero Center [parking info]. Thanks to everyone who attended. We hope you had a great evening – and we'll see you next year!